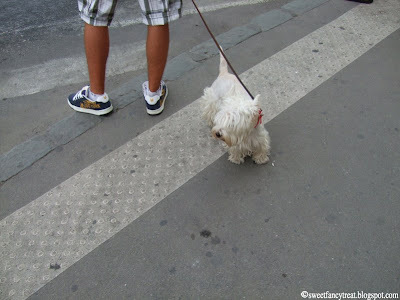 I saw this tiny dog on the street the other day. I tried to take a proper photo, but they all turned out to be blury because I was walking at the same time. Funny enough, I saw a similar dog again, but in a different part of the city. Oh well. The guy who owned the dog had nice sneakers, though, haha. westie :) wanted one of these but got a beagle instead.